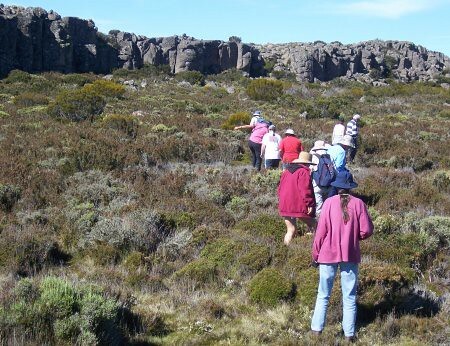 Field nats picking their way through the alpine heath towards a typically outcropping rocky ridge. It is about 10m high and 300m long; vertical on this side, but smoothed-off on the far side, perhaps due to glacial action in the last ice age. 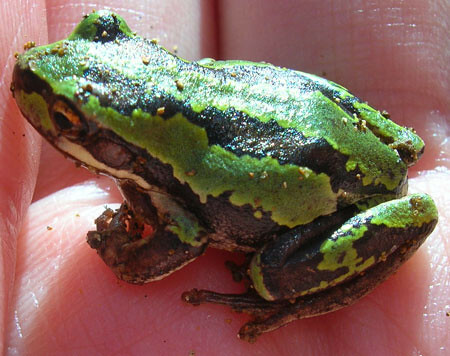 Southern brown tree frog, Litoria ewingii. Usually they are brown, but this one was definitely green! 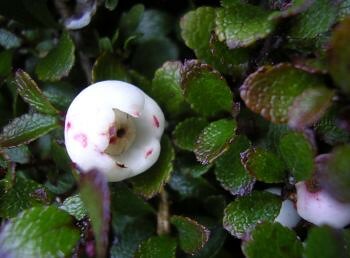 The fruit is a capsule surrounded by an enlarged fleshy calyx, about 8mm diameter. 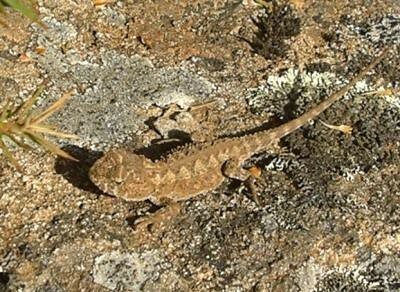 This Mountain dragon, Rankinia diemensis, is truly cryptic, blending in so well with the rocky background. 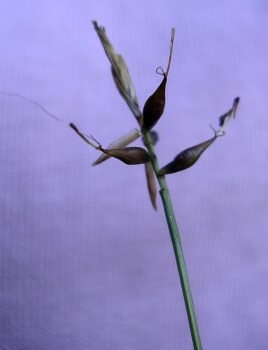 Note the recurved hooks on the seeds of this sedge.